I first met Amy and Brian Naftal in the summer of 2013. They had just moved to Madison and their daughter was going to start first grade at Central Avenue School, where my son was starting second grade and my daughter was starting kindergarten. After telling them all about how much I felt they would soon love Madison and Central Ave School as much as I do, the conversation turned to other things, including their amazing family farm. Brian’s family has owned Flatbrook Farm in rural Sussex County for over 35 years. Their animals are raised in a pasture-based, sustainable method, fed non-GMO feed, and do not receive growth hormones or antibiotics. They offer grass-fed beef, pork, chicken, eggs, and turkey. 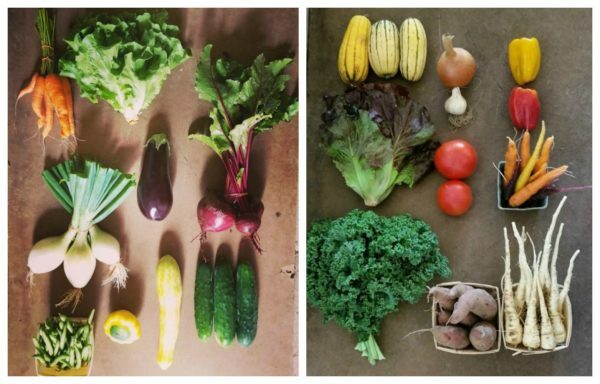 They also have a vegetable CSA with a wide variety of vegetables throughout the summer and fall, with a very convenient pick up right here in Madison. I’m excited to be a part of my first vegetable CSA and try out some of these delicious recipes I’ve been admiring!